I am obsessing over every single piece of quirky jewelry from By Beep. 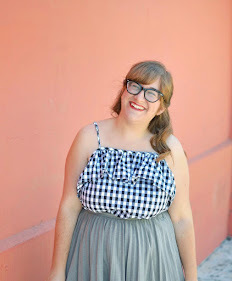 I also love the fact that the designer behind it, Emily Haworth, is based out of Chicago. 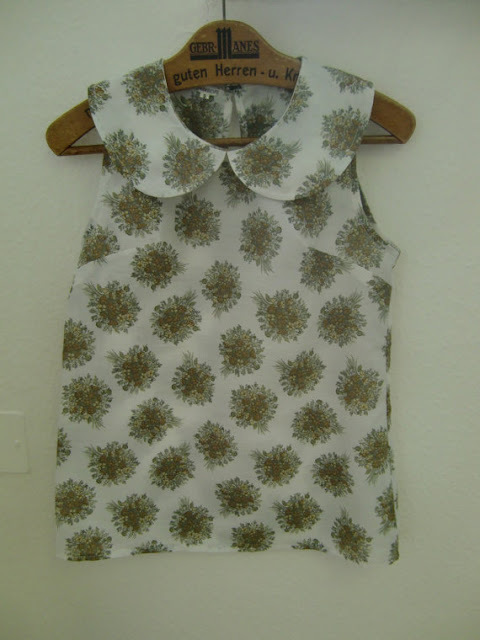 All of the Peter Pan blouses from d4discus, especially this green floral sleeveless one. I think these awesome lipstick tights from Lazy Suzan are begging for a blogger to style them. 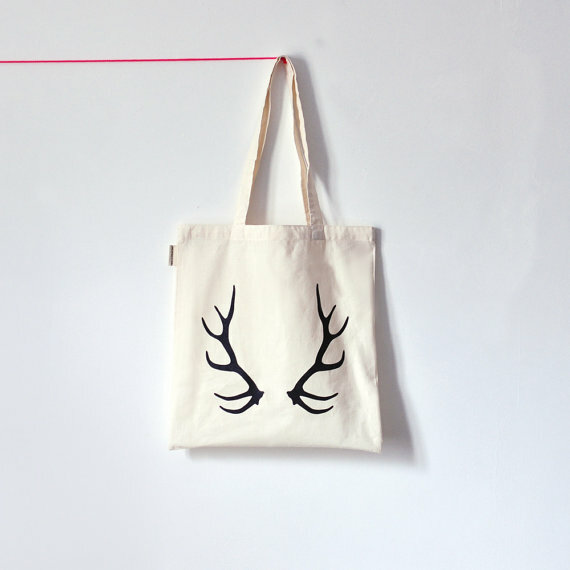 I love the selection of minimalist tote bags from Oelwein. 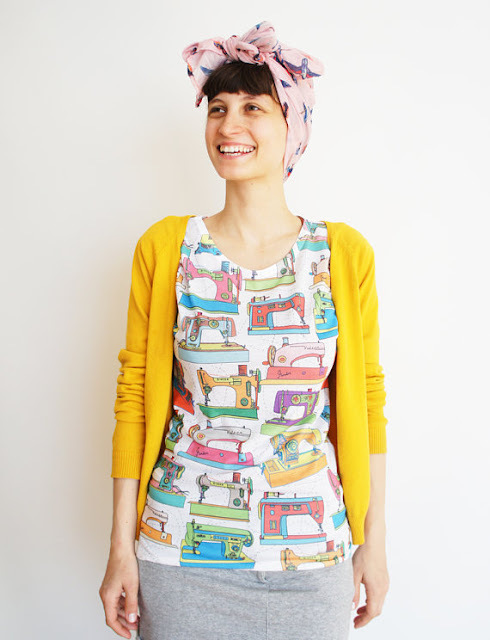 I've never been one for t-shirts, but this sewing machine one is too fun from Mandalinarossa. This vintage 50s rooster print dress from Zwzzy is amazing. 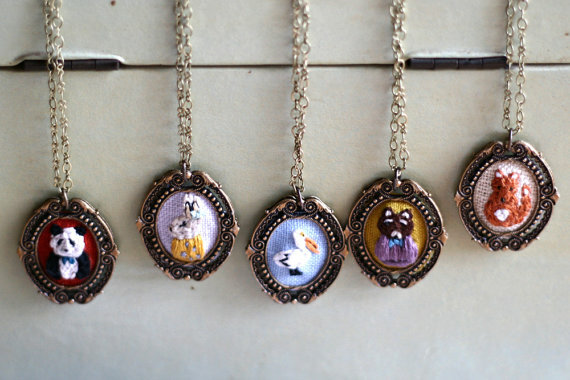 Lastly, I can't get over how adorable these hand-embroidered necklaces from Poppy and Fern are. 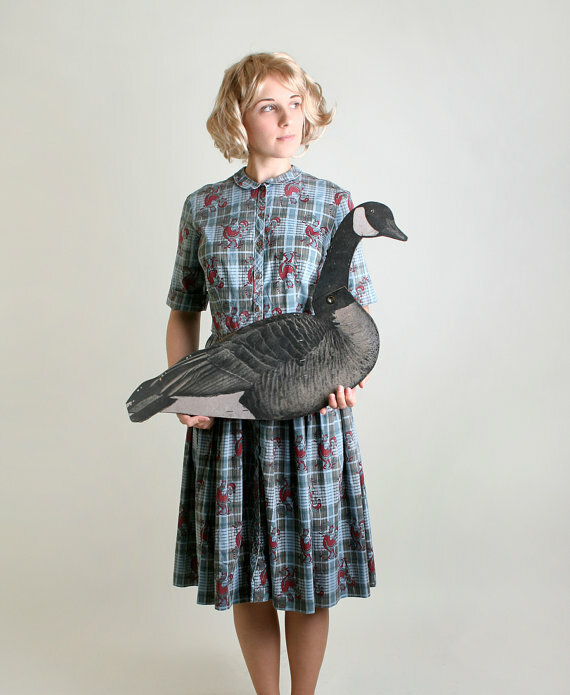 That rooster dress needs to be in my life. ASAP. Loving your taste! Ha! Some of these are truly really clever! Oh, embroidered necklaces-what a genius idea! Those are darling. How do you find such amazing things, seriouslllyy?!?! 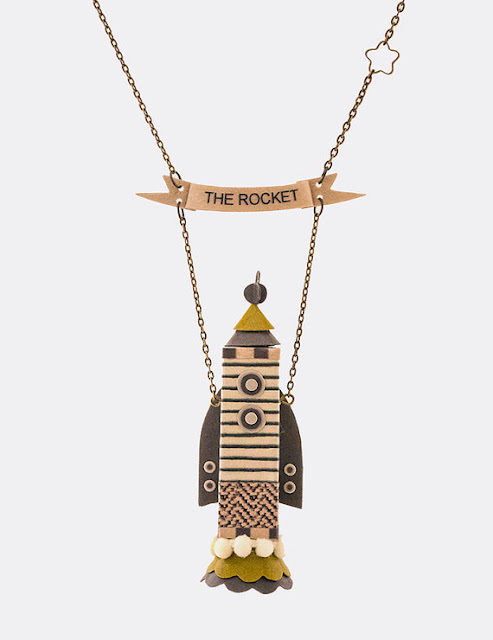 ack, the accordion & rocket necklaces are so awesome! Ahhh, those embroidered necklaces are just darling! I love these kinds of posts you do! You always pick out the coolest things :) I especially love those tights and the first necklace! The lipstick tights is a big hit! Holy smokes...you find the best stuff Elana! 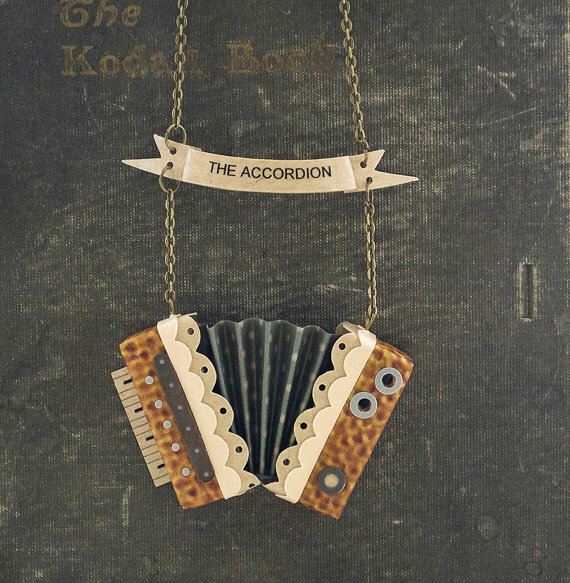 I want that accordion necklace soooo bad (I sound like such a little kid saying that..haha). But given that I've been searching left and right for an actual hand accordion to play for myself, maybe I can talk the hubs into picking up for little darling for me instead (for the time being that is....hehe). Have a lovely Monday darling! The sewing machine top is SO cute! I immediately went to favorite it on etsy! Always love your finds, I hope you had a great weekend! Dude, you ALWAYS find the best jewelry! You have such an eye for really interesting, unique items and these are so pretty and special looking, I love the little rocket necklace. I pretty much always a sucker for a peter pan collar on a blouse so that little shirt is right up my alley, the print is so interesting. And yeah, those little embroidered necklace are just about the cutest thing ever! what a clever idea as well, I need to try to make one of those now.